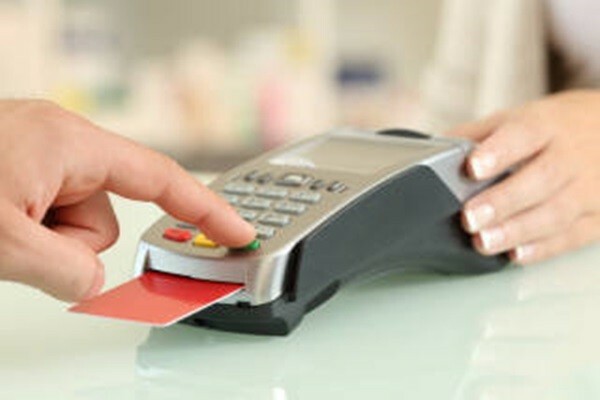 Financial authorities have stepped into mediate a conflict between credit card companies and major franchises on negotiating credit card transaction fee. They announced that they would conduct inspections after holding an emergency briefing that is not scheduled previously and as soon as negotiation on transaction fee is finished. They even stated that they would enforce criminal process if violations are excessive. However, some criticized these announcements for being baseless. Financial Services Commission (FSC) and Financial Supervisory Service (FSS) held a briefing at Government Complex Seoul on the 19th and announced that they would conduct strict inspections as soon as negotiation on transaction fee is finished between major franchises and credit card companies. However, financial authorities stuck to their original stance on having franchises and credit card companies coming to an agreement through autonomous agreement. Major franchises and financial companies called out financial authorities by stating that inspections are nothing but a ‘lip service’. Major franchises especially are not even responding to financial authorities that do not have binding power. They are criticizing financial authorities for being spectators while negotiation between franchises and credit card companies was taking place and suddenly acting as an intermediary once there has been uproar from the public. Stances that major franchises and credit card companies are taking on credit card transaction fee are clearly different from each other. Although an issue regarding Hyundai Motor Company has been settled somewhat, this issue is spreading towards mobile network providers and distributors. Three mobile network providers are opposing credit card companies that are trying to pass on costs from marketing for telecommunication fee discount, which is for gathering members of their services, to mobile network providers. Mobile network providers are claiming that credit card companies are carrying out marketing through additional services to increase number of their members and are unloading marketing costs onto them. According to Specialized Financial Business Act, ‘cost for gathering new members’ out of marketing cost of a credit card company is excluded from marketing cost when production cost is calculated. Major distributors are also looking into aggressive moves. Credit card companies recently notified major supermarkets regarding 0.1% to 0.3% fee increase and they have been applying increased fees since the 1st of March. KOCA criticized credit card companies for increasing fees without any reasonable explanation or basis. Relevant industries want South Korean Government to establish a type of a control tower to prepare mediation plans and prepare plans that will be applied across-the-board.